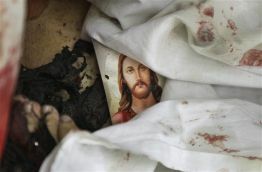 Islamic terrorists have massacred innocent Christians in the name of Allah in Egypt during New Year celebrations. Just like Islamists blew up several Christian churches in Nigeria the week before and murdered Christians in Iraq. 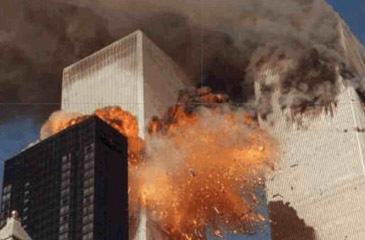 In truth, the violence of 2011 will follow the same pattern towards non-Muslims which took place during the reign of Mohammed in the 7th century. After all, Islam believes in the theories of Islamic jihad, dhimmitude, enslaving non-Muslims who are unwilling to become dhimmis, killing apostates, and violating all known concepts of religious freedom. At best, minorities can survive in Islamic based societies but because of institutional discrimination, which is based on the Koran, the Hadiths, and Islamic Sharia law, then these minorities become even more marginalized and their numbers decrease because of the overt Islamization policies which are put in place. Coptic Christians in Egypt and Assyrian Christians in Iraq, alongside other minorities in Iraq, has a rich history which pre-dates Islam. However, countless Islamic invasions led to the marginalization of Christianity in both nations and Islamization and Arabization followed. Today Iraq is in crisis and American military forces and other international troops have abandoned the Christians of Iraq and the same applies to major international world leaders. Therefore, the Iraqi Christian community is in free fall and the same applies to the Mandaeans, Shabaks, and Yazidis. The situation in Nigeria is complex because of the ethnic and religious diversity of this nation. Also, vast areas in Nigeria have never been Islamized. In recent times it is the growth of Christianity in Nigeria which is vibrant and this fact is clearly causing alarm bells amongst Islamists in northern Nigeria because they fear the growth of Christianity. Therefore, the implementation of Islamic Sharia law was aimed at preventing the continuing growth of Christianity in the heartlands of Islam in northern Nigeria. At the same time Islamic leaders hope to create a power base in order to propagate the faith of Islam to other parts of Nigeria. The theory is simple, to keep Islam in power in northern Nigeria and to create a cushion via Islamic Sharia law and the use of violence is part and parcel of this strategy. Pope Benedict clearly understands that the Christians of Iraq face complete annihilation because the international community is just “standing back and doing nothing.” Islamic jihadists and regional actors which desire to seek the destruction of Christianity in Iraq are getting their wish because you have “no backbone within the international community” and all non-Muslim minorities are expendable. The recent terrorist attack in Egypt was condemned by Pope Benedict because he stated that “This vile gesture of death, like that of putting bombs near to the houses of Christians in Iraq to force them to leave, offends God and all of humanity.” Pope Benedict also stated that “words were not enough” and it is clear that the Vatican desires to see real action and commitment in order to protect all religious minorities who are suffering in the Middle East. These comments were made after Coptic Christians were killed in Nag Hamadi in Upper Egypt after attending a Christmas midnight mass. Therefore, it is clear that you have a similar pattern and major dates of joy are seen by Islamists to be a time of opportunity in order to kill in the name of Allah and to spill the blood of Christians. Turning back to Nigeria, it is clear that recent attacks against Christian churches and the Christian community is nothing new. Therefore, Christians in northern Nigeria, just like the Christian dominated elite in southern Sudan, are on the frontline against the tide of Islamic jihad and Islamization. It is essential that democratic nations wake up to the geopolitical reality of Islam and to the political and ideological nature of this faith. After all, Islam is based on devouring non-Muslims and history tells us that the end result is brutal and leads to utter backwardness and barbarity. Non-Muslims are being devoured by the sword of Islam and this applies to Hindus in Kashmir; Buddhists in southern Thailand; Christians in Somalia; and in Iraq and Pakistan several different faith communities are facing the Islamic end game. The list could easily be added because the Orthodox Christians of Kosovo and the Baha’is of Iran face a bleak future and many holy places have been attacked. It is clear that the Christians of Iraq and other minorities have been abandoned and their plight is clear for all to see. It must be worrying for the Coptic Christians of Egypt to witness the ongoing events in Iraq because are they not also expendable? After all, the Coptic Christians face not only the threat of Islamic fanatics but they also suffer because of institutional discrimination and this is the crux of the matter. Irrespective of who is persecuting the Coptic Christians it is clear that America and other Western powers are only interested in their own self interests. Therefore, the Coptic Christian community and the Christians of Iraq are not tied into economic support and policy objectives. The Christian community will continue to suffer massacres and pogroms in northern Nigeria but the Christian community in this nation will not remain passive because they know that the future of Nigeria is in the balance. However, the state apparatus is against the Christian community in Egypt and legal discrimination and overt Islamic policies is aimed at weakening the Christian community. While in Iraq it is clear that the central government is weak and Christians have no protection from the Islamic sword which desires the blood of innocents.